Can I waterproof my printed circuit board with a material like a conformal coating? Waterproofing a Printed circuit assembly (PCA) is a very difficult process when using conformal coatings or similar thin-film technologies. What you are trying to achieve is to have either flowing or stationary water on the surface of the board or even immersion in water or a similar liquid without causing any of the electronics to fail in the short or long-term. Unfortunately, preventing problems from water on a circuit board is one of the most difficult problems in coating application. This is because any conductive area on the circuit board or components not adequately covered by the conformal coating is a potential shorting point for the electricity. The answer is yes it can. It is possible to waterproof a circuit board with conformal coating. However, the cost in terms of processing may be prohibitive. First of all consider what you are trying to achieve? You want to cover every conductive surface of the components and the circuit board with conformal coating to an adequate thickness. Any area not covered will conduct and possibly cause problems. To achieve this you have to use a coating method that covers all surfaces, back, front and sides. This means the coating has to go underneath components, up the sides of walls and into all the minute gaps. To do this with most processes is almost impossible and only two coating methods lend themselves to this (unless the circuit board is naturally very flat and has few components). They are dipping and parylene coating. So lets consider the dip coating process. Dipping will coat everywhere you allow the coating to go. But, you have to deal with the concept of slumping and thin tip coverage, where the wet coating pulls back from sharp edges and leaves them exposed to conduction. To overcome this problem it may take multiple layers of coating successively applied to eventually to cover all of the sharp tips. However, it has been proven to be successful and is used in industry as a method for “waterproofing” a circuit board. So, if your PCB is suitable for dip processing then this gives you the first option. Then there is the parylene process. First consider that Parylene is a vapour deposition process differing significantly to all of the other liquid conformal coatings available. Parylene coatings are completely conformal when applied to circuit boards, have a uniform thickness and are pinhole free. As a result, component configurations with sharp edges, points, flat surfaces, crevices or exposed internal surfaces are coated uniformly without voids. Therefore, at the right thickness of parylene, it is again possible to waterproof the circuit board. so, if you can balance the cost of the process and the possible processing requirements for masking etc then you have a second successive process for waterproofing a circuit board. To find out more about conformal coating fundamentals and technical question go to our Conformal Coating Technical Database or Contact Us directly to discuss your needs. How does corrosion occur even when I am using a conformal coating to protect my printed circuit board? In conformal coating, there are several mechanisms that cause failure of printed circuit boards (PCBs). One of these failure mechanisms is corrosion. This is defined as the chemical or electrochemical reaction between a material, usually a metal, and its environment that produces a deterioration of the material and its properties. 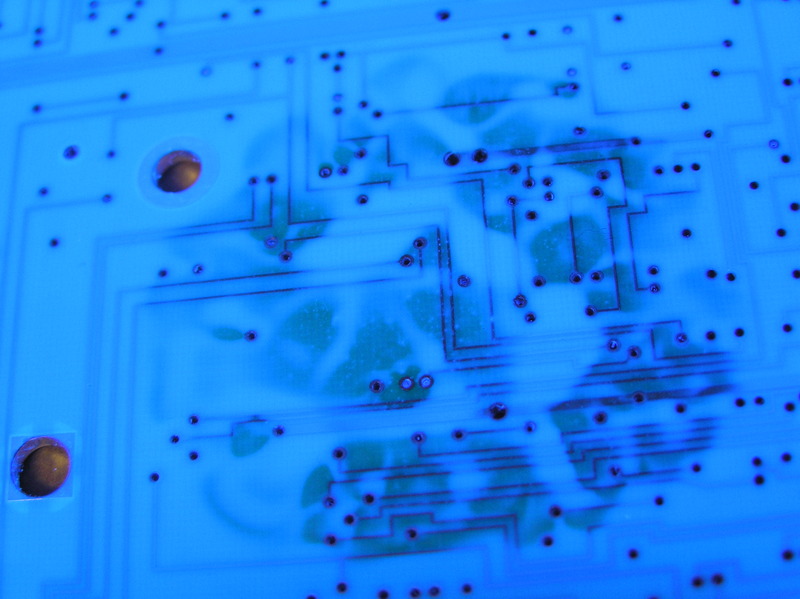 To learn more click Conformal Coating failure mechanisms Corrosion to find out more.